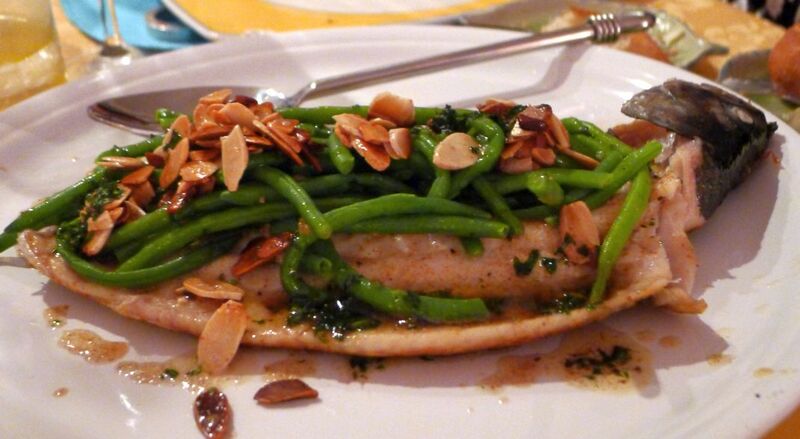 Trout with lemony brown butter and crunchy almond is one of the simplest seafood accompaniments! 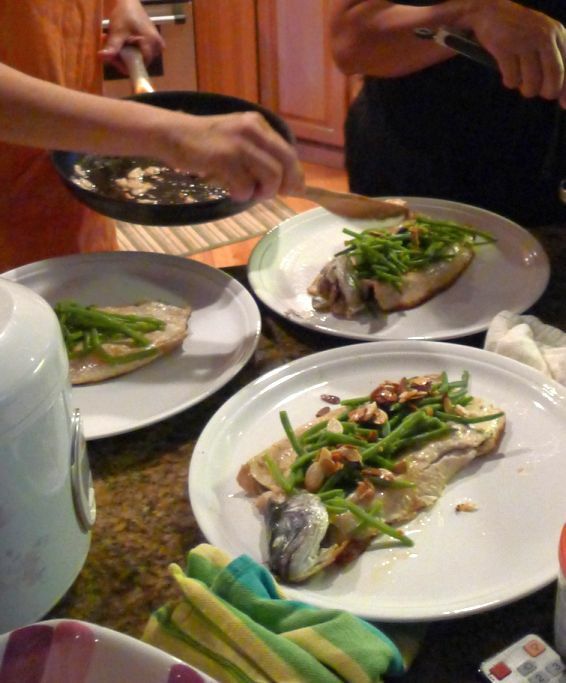 The classic brown butter sauce is perfect with the mild flavored trout and a squeeze lemon also enhanced the taste of the trout making it fresh and appetizing. The bones are removed but the skin and head are left on. 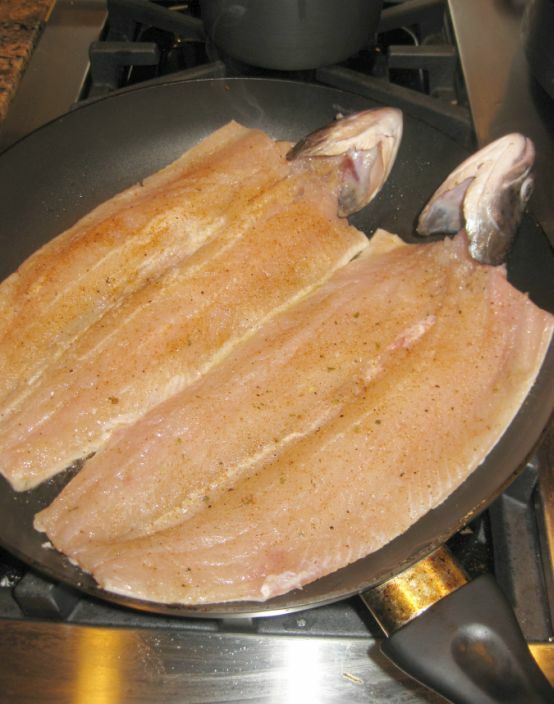 The trout is then pan seared over medium heat for about 4 to 5 minutes and that's how simple it is. This dish is perfect for a novice cook as you don't really have to do much. For the sauce, melt some butter let it become brown, add chopped parsley, remove from heat and add a squeeze of fresh lemon juice. 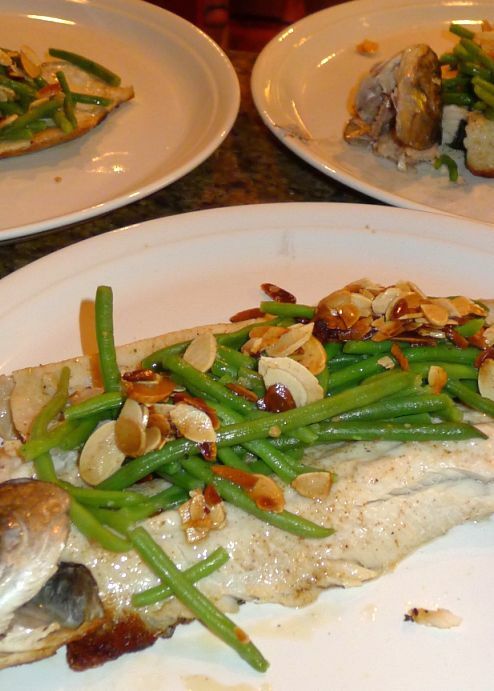 The trout is very mild so you will need the lemony brown butter to enhance the taste together with the haricots verts cooked with butter and garlic and also the crunchy almonds. 8 ounces haricots verts, stem ends removed. Pull the bone away and discard it. 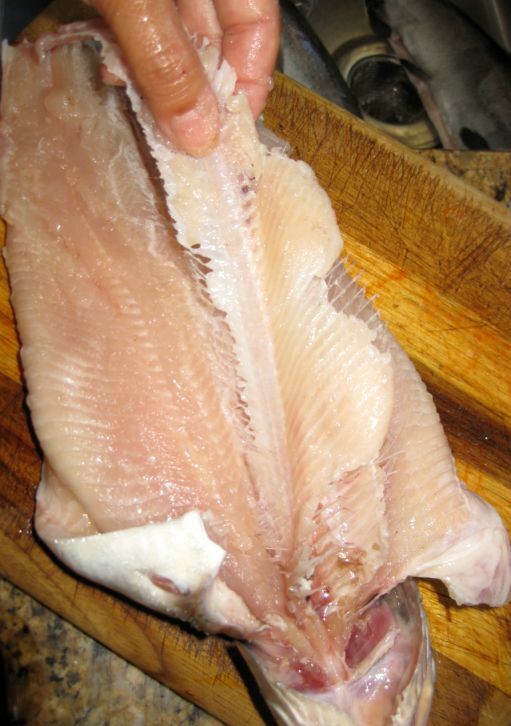 On medium heat, add the oil and place the trout skin down and let it cook for about 4 minutes. 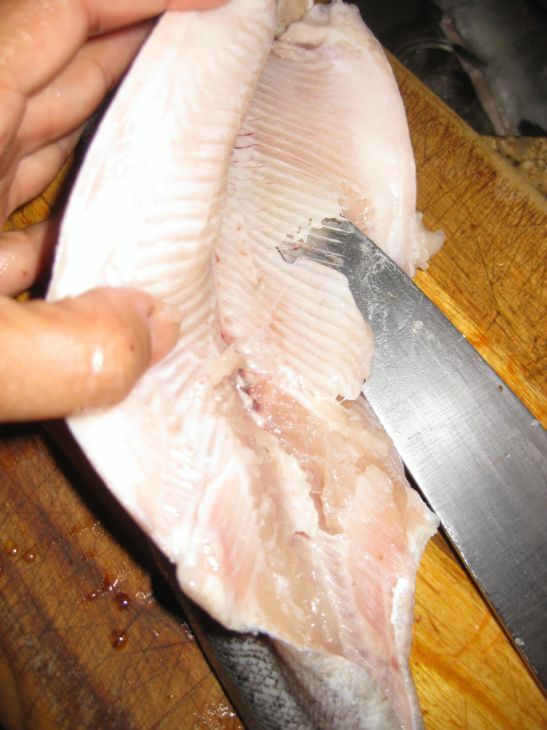 If it is not quite cook yet then cover the pan so the top surface will cook faster. 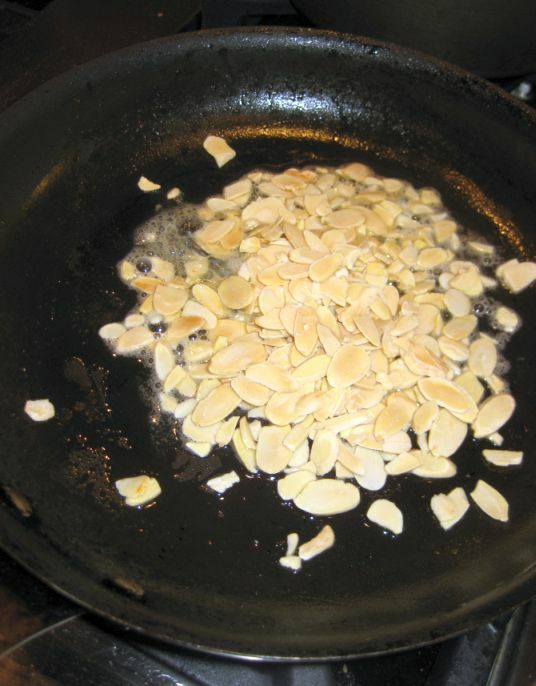 Melt 2 tablespoons of butter and throw the almonds on. Stir until the almonds are brown. 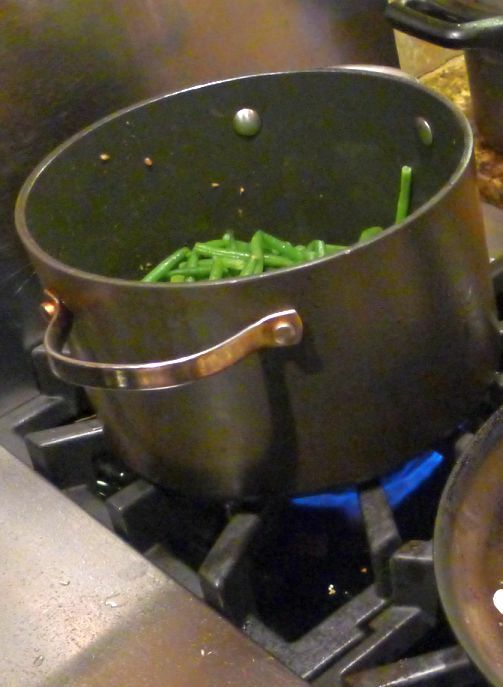 On a medium pot add the haricots verts with the fried garlic, add 2 tablespoons of butter and add 1/3 cup of water. Stir it together and let the water evaporate and the haricots verts are hot and glazed. Season to taste. 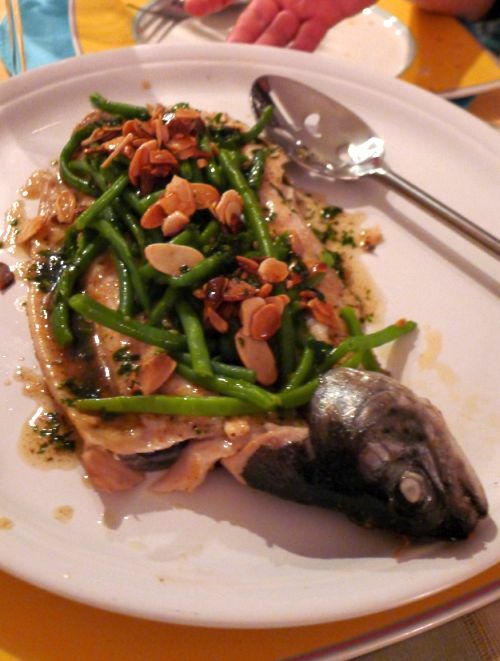 Place the trout on a large plate, put the haricots on top and spoon some crunchy almond on top. Melt the butter with a pinch of salt. When the butter reach a nice golden brown color add the parsley and lemon juice. 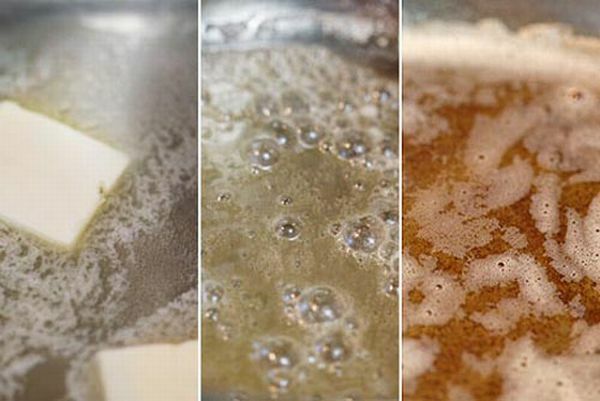 The sauce will start foaming as soon as you squeeze lemon. 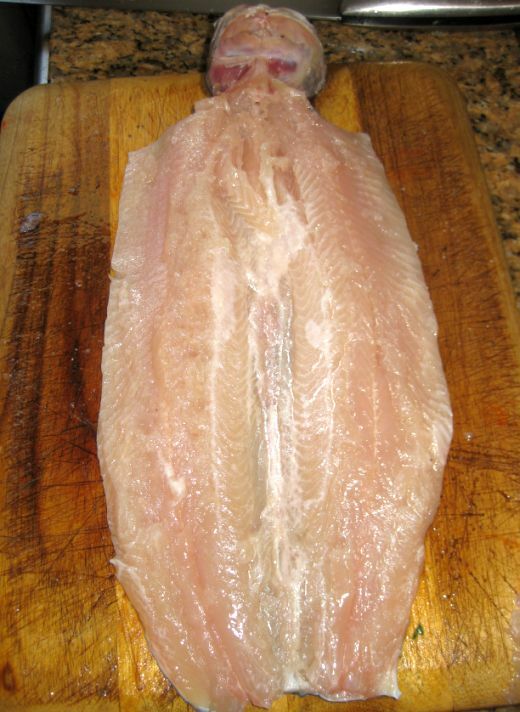 Drizzle the sauce over the trout and serve.